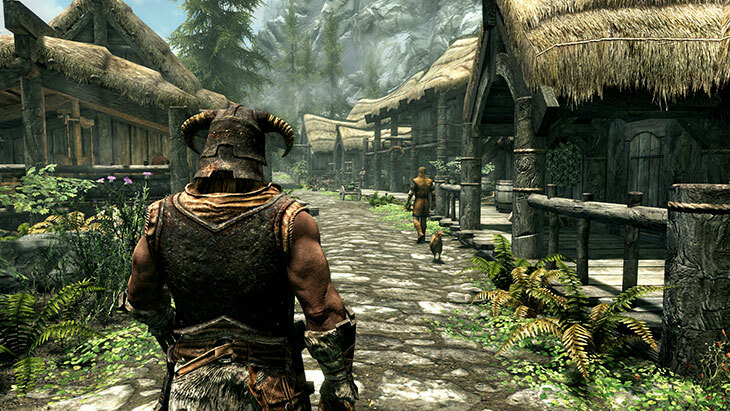 How good will The Elder Scrolls V: Skyrim look on new-gen consoles? Perhaps one of the greatest video game news of the year has been Bethesda’s announcement of a remastered edition of their 2011 hit video game The Elder Scrolls V: Skyrim, as it is clear that the fantasy role-playing game is one of the best-selling, most-loved and most-played video games made to date. Actually, players have sunk countless hours into Bethesda’s game, as this is a video game that offers almost infinite replay value and gameplay possibilities. Set in the fantasy world of Tamriel, Skyrim lets players create and develop their characters in any way they see fit, from a Nord warrior adept with a dual-handed sword to a wizard fond of summoning creatures to fight for his cause, or anything in between. How good will the new-gen special edition of Skyrim look? 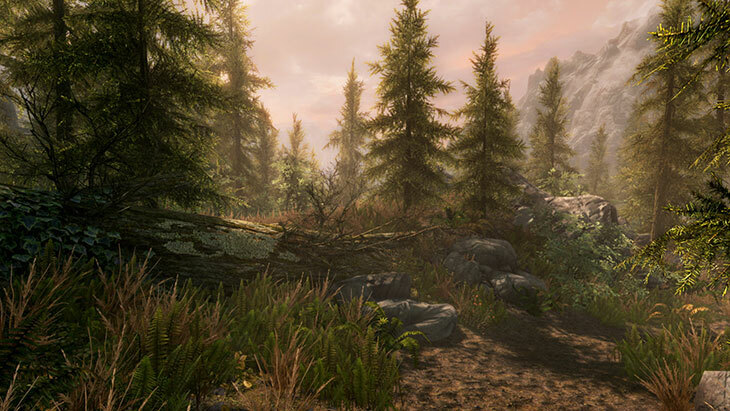 Also, Skyrim was certainly one of the best-looking video games of 2011, with its great landscapes featuring lush forests, snowy peaks and abandoned ruins crawling with bandits and undead. The game had some pretty good character models and detailed objects to complement the great vistas, although admittedly the Xbox 360 and PS3 versions of the game are looking a bit dated these days. Although thankfully the new remastered edition of the game appears to bring Skyrim’s visuals up to date, and is looking particularly good on the PS4 (although the Xbox One version features some pretty nice visuals too). Some of the new graphical features the remastered edition will offer include volumetric god rays, dynamic depth of field and new water shaders. In an interview with IGN, Pete Hines of Bethesda stated that the developer is looking to make the remaster “as next-gen and appropriate for these consoles as possible”, meaning that this Skyrim remaster might yet be one of the better-looking games of the year. Given their track record, it is unlikely that Bethesda would deliver a sub-par remaster of one of the best games ever made, even if some remastered editions of video games to date have been less than stellar. And the PS4 certainly has the hardware power to make Skyrim look the best it ever has, plus the game will also support some of the user mods that have been released on PC to date, likely some of those that make the game prettier-looking too… So here’s hoping that this Skyrim remaster turns out to be great and players can enjoy a new-gen version of what undoubtedly is one of the best role-playing games ever made. Are the Steam summer sales worthwhile?